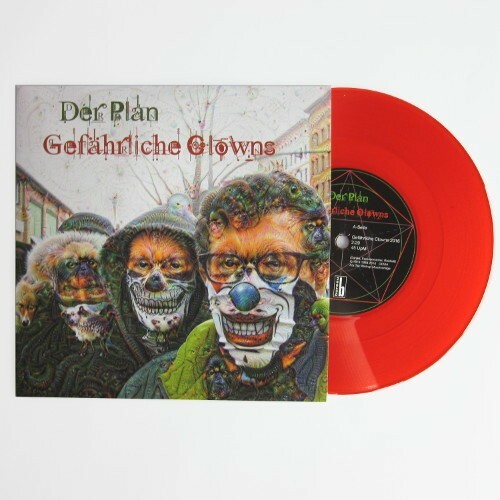 Der Plan - Gefährliche Clowns 7"
Der Plan has always taken unconventional risks, whether with French skipping, traffic lights or old pizzas. Furthermore, as is expected of an avant-garde band, they have always been ahead of the times. And so it's not surprising that while the German public was concerned with the dreadful phenomenon of the sad clown (Beuys, The Greens, Herman van Veen, etc. ), on their 1980 album "Geri Reig" they were already considering the next phase of escalation: "Dangerous Clowns". And now the sensation: The revival of the dangerous clown (colloquially: horror clown). 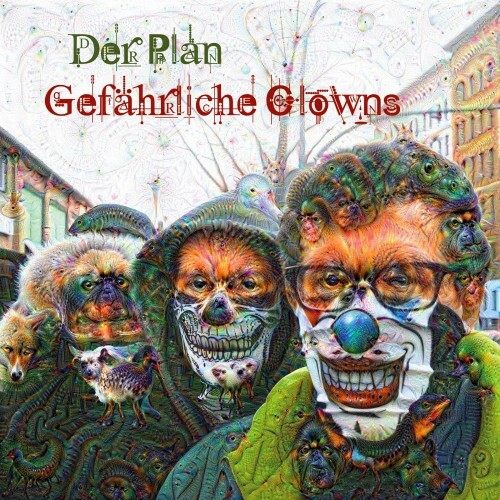 Moritz R®, Pyrolator and Frank Fenstermacher have reconvened in the original lineup for the first time in over 20 years to release the track "Gefährliche Clowns" in the 2016 version. Red vinyl including the original version from 1979 (album "Geri Reig") and the 1988 version from the album "Fette Jahre".